Hey guys! I am THRILLED to announce that I am this week’s cohost of the Before and After Link party with One Project Closer benefiting Habitat for Humanity. I have been a long-time support of Habitat for Humanity, and after hearing the incredible speech that Bob Johnson gave at the closing of the Haven Conference last weekend I am an even bigger fan of them. Now is your chance to do some good, simply by linking up your favorite DIY projects! If you are not a blogger but would like to show off your Before and After photos be sure to email them to [email protected]. I will be picking a winner Monday morning, so be sure to link ’em up fast! Contest runs from now through September 22, but a weekly winner will be chosen on Monday, August 12th from this link party. Grand prize winner will be given a $150 gift card! Link up weekly or submit via email to [email protected]oneprojectcloser.com, which means you don’t have to be a blogger to play along. No matter where you link up, it is shown on both blogs, OPC The Better Half and the co-host – that means double the exposure! September 26 Grand Prize Voting Begins! If you don’t win this week, don’t worry. Be sure to head over to Roeshel’s blog next week on August 15th for another chance to win. Keep in mind that it doesn’t have to be a current project to enter- anything Before and After DIY project that you’ve created will work. So, show us what you’ve got– it’s time to link up. I cannot wait to see all of your projects! Thanks for hosting! This is such a wonderful idea! Hey Beth! I love this Before & After project — such a great cause. And I agree that Bob was amazingly inspirational at Haven! Had me in tears! 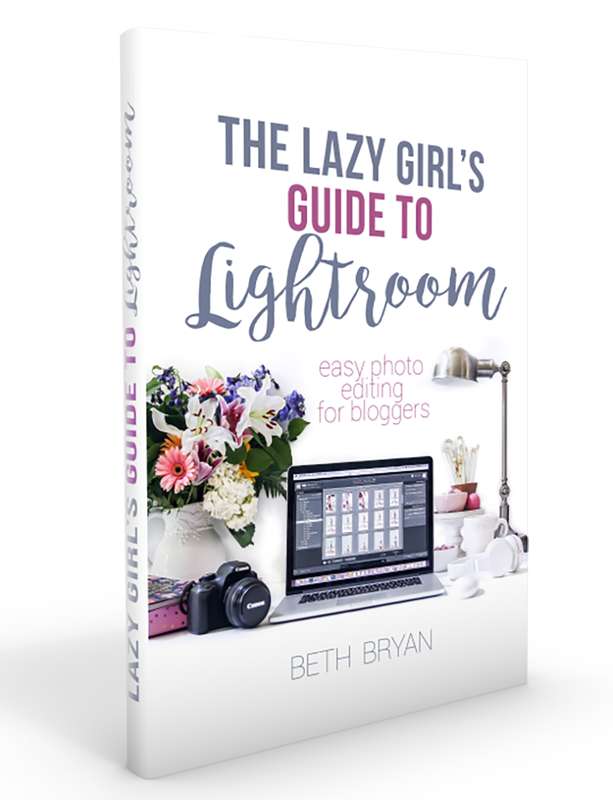 Thanks so much for hosting us here on your fabulous blog! How fun and what a great cause!! Just linked up my kitchen island makeover. Thanks for hosting Beth! What a great opportunity to benefit such a great organization!! Thanks so much for the link-up! 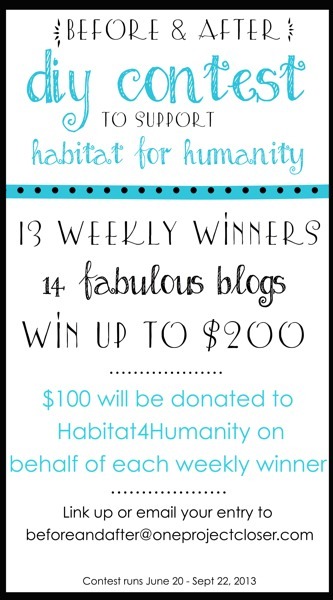 What a great thing to do for Habitat! woot woot girl! its a party!!! 🙂 Thanks so much for co-hosting! and can definitely work. Still, the posts are too brief for newbies.